You can get amazing effects with digital printed led panels created by printing various patterns and motifs on panels. If you want, you can select an image from our catalog or an image you want to send us on for the LED panel. Contact us to place an order by printing on your company logo or various architectural images for LED panels. All photo print LED panels has variations of suspended, surface mount and recessed montage options. Like as fluorescent light covers, these are made from LED panel lights. Depending on the ceiling systems, 1240×620 LED panel lights differ in the way they are installed. Your type of ceiling may be: drywall, rockwool, clip-in, or even another model, or even no suspended ceiling. For panels to be used in suspended ceilings, it is necessary to have a spring. The LED panels will fixed with these springs up. LED panels, usually mounted with 4 springs, which springs are pulled up LED panel until the panel is aligned with the gypsum board ceiling. 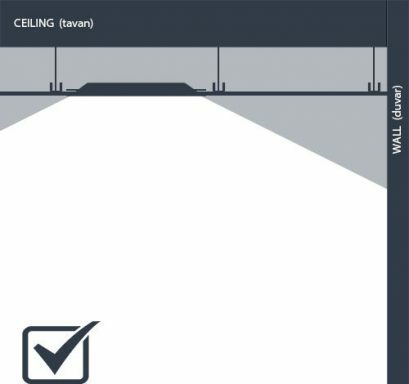 Depending on the panel model, the measurement to be opened on the ceiling must be indicated by the manufacturer. The opening space for plasterboard ceiling lighting must be less than the size of the panel. If there is no suspended ceiling in the area where the product will be applied, it is usually applied to the surface. The 1200×600 LED panel is screwed directly onto the ceiling surface. For the surface mount application, the panel creates a pendant up to the thickness of the panel. For surface mounted applications, you can also get a more decorative look with the frame color options. For example, the LED panel 1200×600 black frame, would be a very good choice. You can also select the color of the light color as well as the color options of the LED panel 1200×600 frame. (daylight, white and natural white) You can also create various lighting combinations of LED panels with patterns. Suspended applications for LED panels are generally preferred for non suspended ceilings. In rare cases, suspended ceilings made of plasterboard can be applied. For the suspended luminaire, the LED panel is fixed to the ceiling surface by means of individual steel suspension wires at each corner. With the strap adjustment, the desired distance is adjusted and the product is ready for use. 1200×600 LED panels can be installed in the form of colored LED panels and applications with patterned LED panels as decorative lighting. 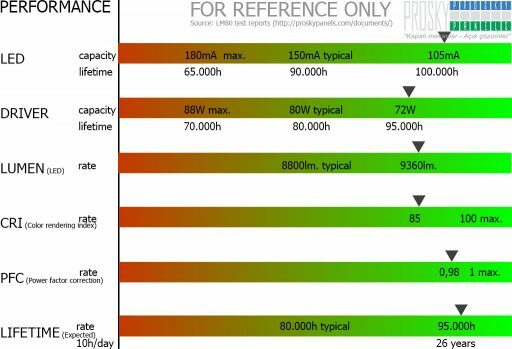 The types of 1200×600 LED panels are produced in different models according to need, depending on the different mounting options. Depending on the area of ​​use, the LED panel 1200×600 models vary according to their area of ​​use and should be selected according to the type of ceiling surface to be used. The surface-mounted LED panel 1200×600 wanted to be used, but if the ceiling surface is a plasterboard suspended ceiling, our recommendation should be a LED panel 1200×600 with flush mounting. Or, for example, if there is no suspended ceiling on the ceiling surface, but we want to use a flush, we recommend choosing the surface mounting panel. Depending on the different ceiling models, these three models can be combined with an option of case printing and colored patterns to create various combinations. Recessed use for suspended ceilings made of plasterboard. The LED panel 1200×600, placed in the hole opening on the plasterboard ceiling surface, has the same appearance as the ceiling surface after installation. The thickness of the panel body remains in the suspended ceiling. Surface mounted LED panel 1200×600 for ceiling surfaces without suspended ceiling. As with the built-in model, the thickness of the panel is not in the suspended ceiling but on the ceiling. The thickness of the panel suspended from the ceiling is 6.5 cm. Like as linear lighting, it is used by adjusting the desired distance so that it is suspended from the ceiling surface with steel wires. Black and colored frames are usually preferred with a decorative appearance.